Battery—Most batteries will last for 3-5 years, with extreme climate conditions shortening their lives. If you notice corrosion, that could be a sign of the alternator overcharging it or a chemical breakdown internally. Keep the battery clean and drive your car regularly to extend your battery's life. Alternator—If you notice corrosion on the battery or your battery light comes on, your alternator may be to blame. Use your ears too; any squealing, whining, or noises from the alternator area could be signs of trouble. Waterpump—If your temperature gauge goes ¾ or higher, you could have a waterpump issue. Look for any coolant leaks, and listen for any squealing, growling, or clacking noises from the waterpump area. Make sure to service your coolant on a regular basis at a proper mix ratio of 50/50 antifreeze/water. Brakes—Hearing any squealing/growling? Feeling any scraping, pulling, or grabbing when you stop? It's time to get your brakes checked. Don't just have them checked when there are problems; get your brakes checked every time your tires are rotated. Check Engine Light—Anytime this light comes on, you need to get it diagnosed to prevent further issues. You could have one code or multiple codes/problems, so don't ignore it! When it's on steady (and NOT blinking), it's safe to drive for a few days until you can have it seen. If it's blinking/flashing DO NOT drive the car. 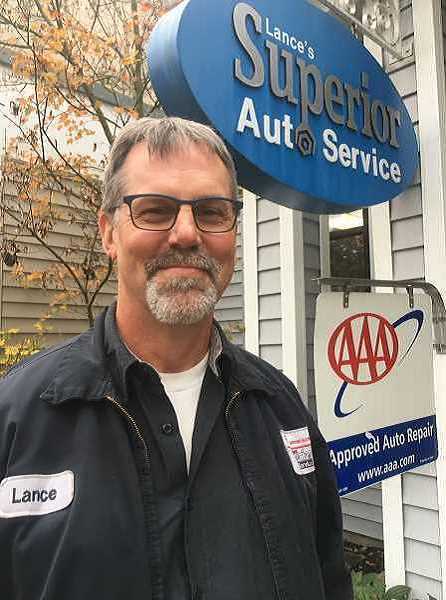 If you're experiencing any of these problems, visit Lance's Superior Auto in Wilsonville today!